With its lush sprangled top, this grass is a bit of a pretty thing when at full maturity. 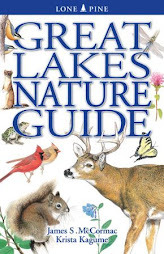 It is the Giant Reed, Phragmites australis, and if you live near or visit Lake Erie, it'll certainly ring a bell. Mature culms can tower to a dozen feet or more, and under optimal conditions it grows in such dense profusion that a muskrat would have a hard time threading through the stalks. Nearly all of the Phragmites that we've got in Ohio - and many other areas in the eastern U.S. - is of Eurasian extraction. There is a native variant - Phragmites australis ssp. americanus - but it is now quite rare in our neck of the woods. We used to have more of the native, but most of it has been vegetatively steamrolled by the invader. 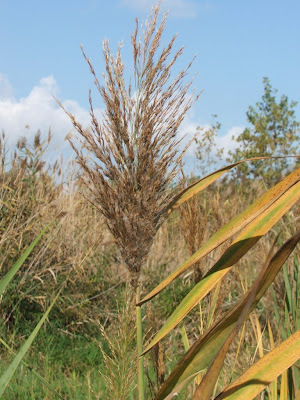 Like a chlorophyll-filled cockroach, Phragmites scrambles around with astonishing speed, threading its way into all available nooks and crannies. 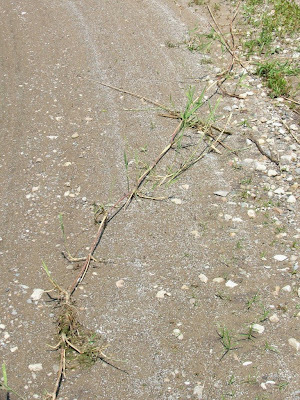 Most of its conquests of new turf is accomplished by runners, or superficial rhizomes, shown above. These roots can grow up to several dozen feet a year, which is an effective way to thrust one's gramineus self into new and unwanted terrain, quickly. Back in November, I was flying over Lake Erie and happened over one of Ohio's most iconic birding locales, Headlands Dunes, just east of Cleveland and hard on the Lake Erie shore. The brown spit of land is brown because it is cloaked in native grasses: Coastal Little Bluestem, American Beach Grass, Switch Grass, and Canada Wild Rye, mostly. This spot is the best remaining naturally vegetated beach on Ohio's Lake Erie coast. A very short distance away is an absolute forest of Phragmites. We are looking west down the old channel of the Grand River, which is now a large nature preserve known as Mentor Marsh. Virtually the entire former river bed is filled with the invader grass. Mentor Marsh is still a fabulous place, and it is very important that it was protected and remains in good stewardship. But what it must have been like in the pre-Phragmites days, when an outstanding diversity of native flora reigned! I have seen old photos from back in the day, when bur-reeds, pickerel-weed, various pondweeds, bulrushes and other sedges, water-lilies and many others proliferated. Plant and animal diversity go hand in hand, and back then Mentor Marsh would have been a stunningly rich spot for birds and other wetland fauna. Fortunately, stewardship of the marsh is partly under the auspices of the Natural Areas Program of the Cleveland Museum of Natural History, and they have toiled hard to diversify the sea of Phragmites. Museum personnel have restored small sections of the marsh along the Wake Robin Trail, shown above threading its way across the marsh. 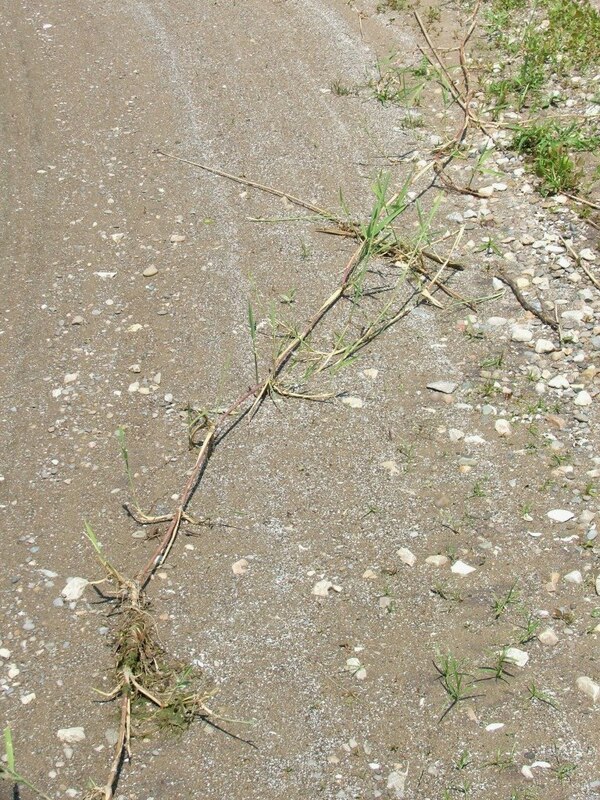 Because of their successes in beating back the Phragmites, all manner of native flora has flourished along the Wake Robin Trail, and it's no coincidence that this has become the hotspot in northeast Ohio for finding two highly coveted feathered skulkers, the Nelson's Sparrow and Le Conte's Sparrow. Would it be that we could only expel all of the Phragmites over the nearly 700 acres of marsh, but that's a tall order, and the foot soldiers are few. Financing to arm the troops in the ground battle is tight, too, and that's why it is so important to support organizations such as the Cleveland Museum of Natural History. 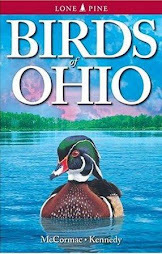 The CMNH is doing some of the most important conservation work in northeast Ohio, and if you've visited Mentor Marsh and nabbed your lifer Nelson's or Le Conte's sparrow, you've benefited from their efforts. Ditto that if you've been to any of the other 34 sites totalling some 5,000 acres that the Museum has protected. 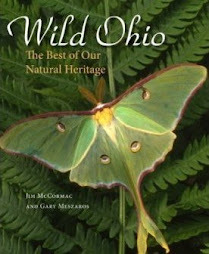 Ohio is truly fortunate to have the Cleveland Museum of Natural History and its Natural areas Program, and should you find a way to help support them, please do! I sure wish there was an easy fix for this huge problem! Ottawa Co. is filling up with this plant!! Jim, in my backyard while lunching, I believe I saw 3 subsp. of junco! Slate-colored, of course, but also pink sided and oregon. At the office, I saw 11 cedar waxwings. I don't remember ever seeing them in winter before? Thanks for sharing, this summer I'm looking forward to see the Texas Ranches. Anyway I really like your blog and i really appreciate the excellent quality content you are posting here. 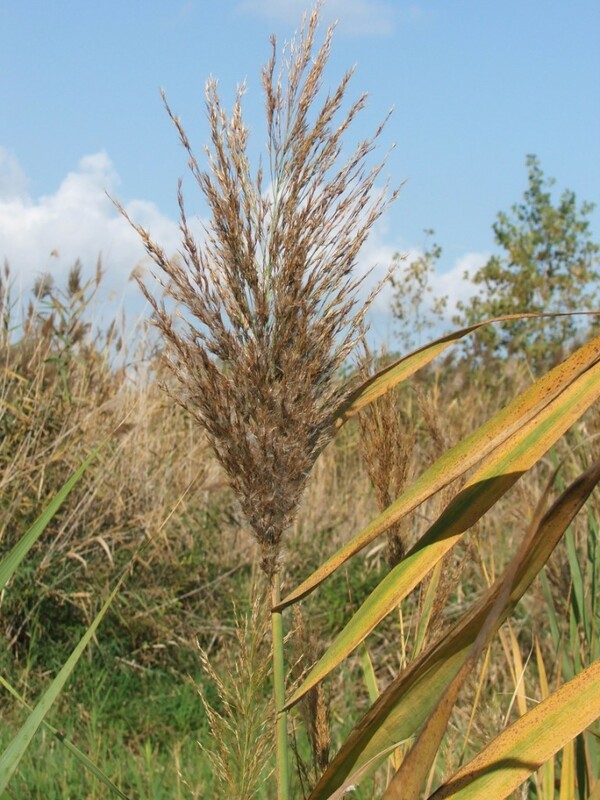 Phragmites australis is "Common Reed," not to be mistaken with Arundo donax, "Giant Reed." Heard it called both names; common names are notoriously ambiguous with plants. Always best to know the scientific name. Phragmite reeds are a popular nesting material for Blue Orchard bees, a peaceful solitary bee that happens to be an excellent pollinator. 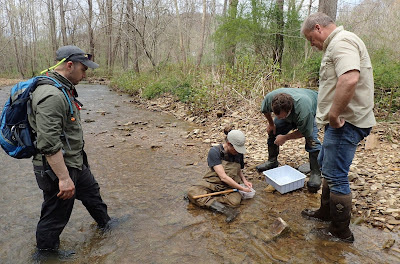 New River, West Virginia - be there!